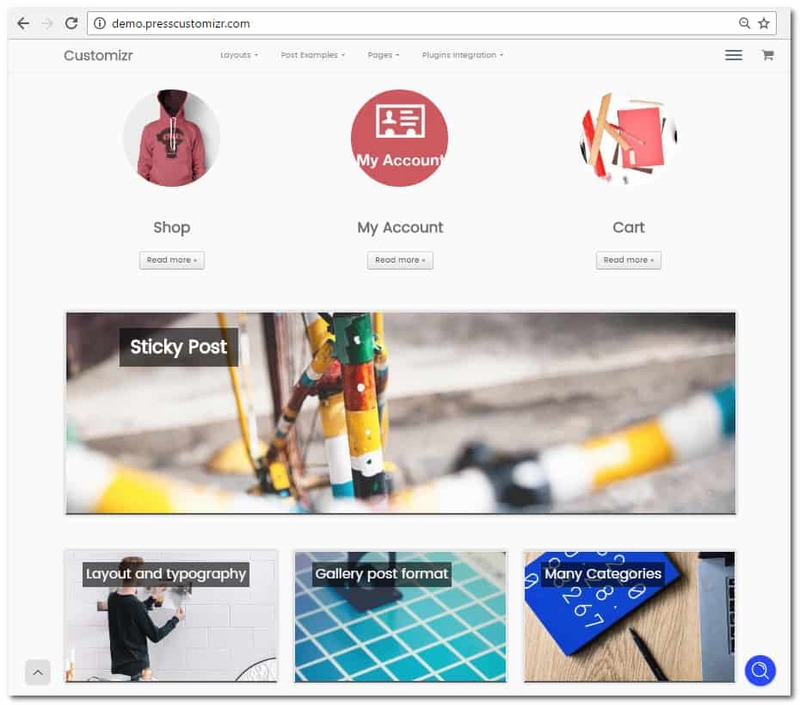 Customizr, is a cool minimalistic and free, responsive WordPress theme built with the Twitter Bootstrap framework, HTML5 and CSS3. It is good choice for a business website, but it can be used for various types of websites whether corporate or not. 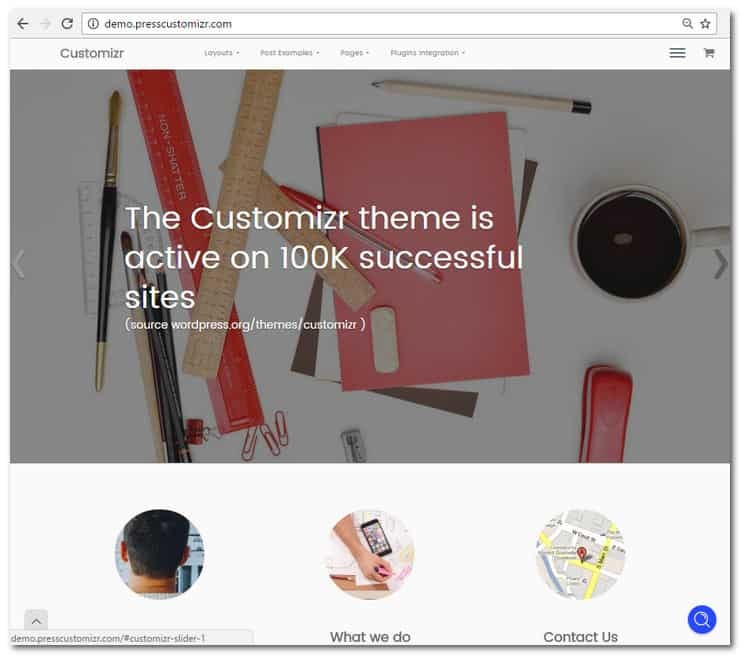 It is extremely popular with more that 100.000 active websites using customizr. 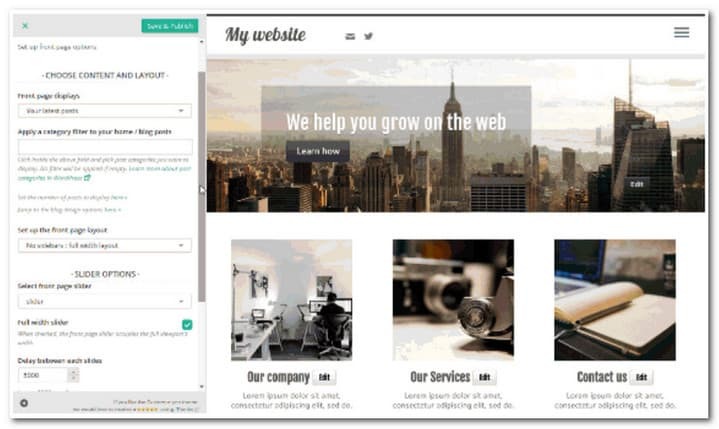 As it is built on Bootstrap, it is fully responsive and have all the building blocks from the framework made available. 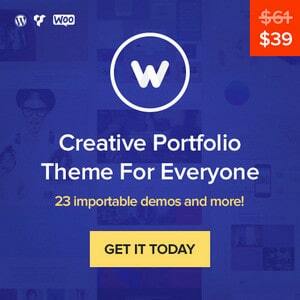 It is easy to customize making it a convenient theme to use even though it is a freebie. 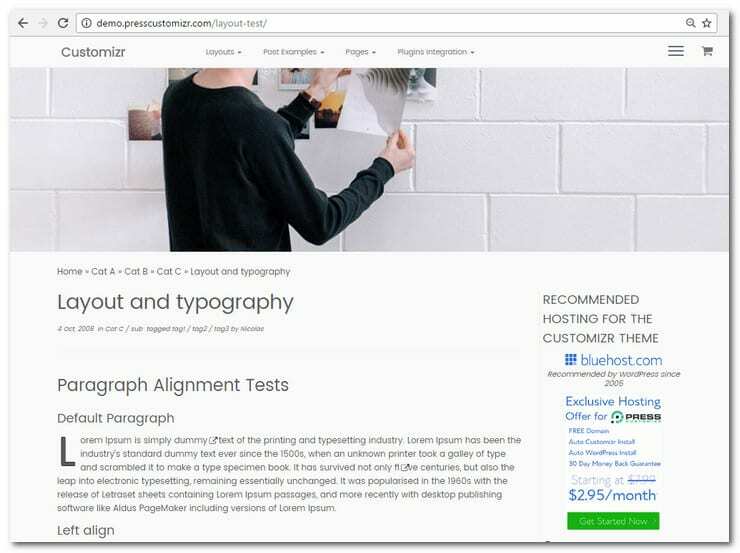 There are five widgetized areas (two in the sidebars, three in the footer), up to three column option and nine custom post formats with special styles. It has seven skins to choose from and three featured page blocks for the front page. The theme also includes a responsive slide show generator. This is a unique feature for a free theme that allow you to add call to action text and buttons to your slides. Slides like this will add interactive and highly visual elements to your site and help you promote important content. The slider is easy embedded in both pages and posts. 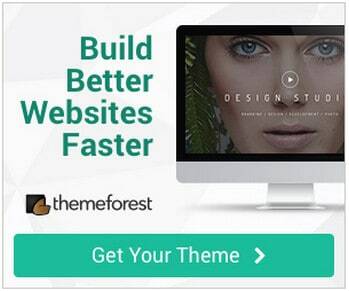 In this review, I will take a closer look at this powerful, free Customizr theme, built with Twitter Bootstrap. This is the Customizr homepage. As you can see it is very clean and minimalistic. 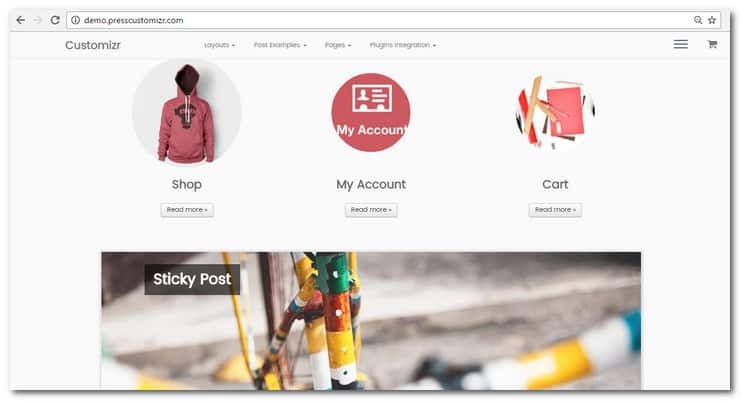 The main navigation includes social network icons for connecting to your pages in Facebook, Twitter, Pinterest and so on. 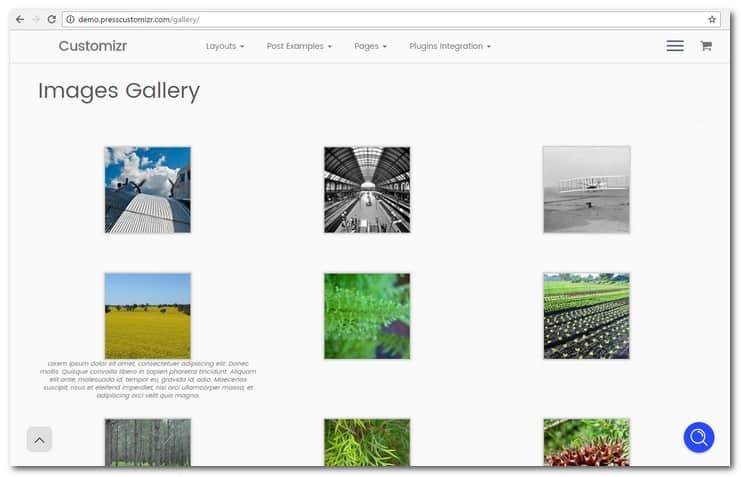 The homepage layout can be controlled and you can set it to be either full-width or with a sidebar to the left or right. It is also possible to use two sidebars. This feature is available for all pages, as well, on per-page-level. The front page also has a cool way to show blog posts on the front page. There is a lot of white space, rounded featured images that change from left to right. This will make your webpage look unique and stylish. 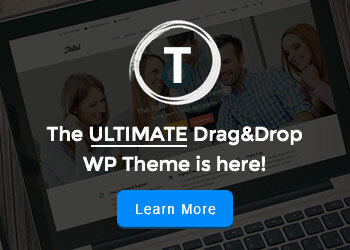 The theme is installed easily in Themes menu in WordPress Admin Area. Editing theme Settings can be done under Appearance and you can easily customize it to change theme options. 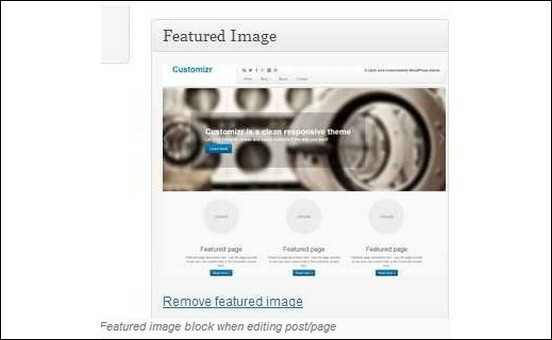 Best part: With the WordPress Customizer feature, you will see previews of design and layout changes as you edit it! Editing Customzr design and layout with Preview on the right. Select static page or last post, Choose Sidebar Layout, Select premade slider and slider options and Set home featured page and text. 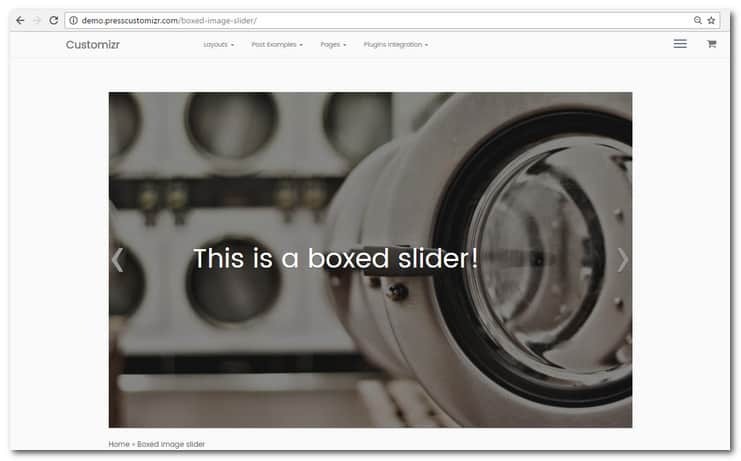 If you want to add your own slider there is a cool admin function to set up the slider and the individual slides. Here is a screenshot of the panel where you create your own slider. After creating a slider, you have the option to put it in both pages or posts. You can have sliders with call to actions or just a simple boxed slider. There are a lot of different post formats you can use with this theme. Among these are Post with Chat, Post with Image (Attached), Post with Image (Linked) and Post with Audio. Note the way categories and tags are highlighted below the title and how the post type is indicated with an icon. Customizr, is a very elegant yet simple theme to use. With the WordPress Customizr feaure, editing is safe as it lets you preview changes you’re making to website prior to saving it. The sliders are really cool to use as the developers are ingenious in adding call to action text and buttons for a more direct approach to getting users to interact with your content. If call to actions are not your thing, a simple boxed slider will do or even no slider at all. Thanks for this awesome in-depth review of the theme!